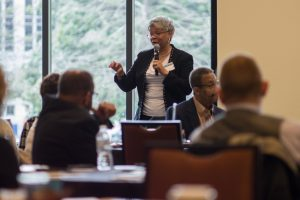 The Georgia Financial Protection Coalition (GFPC) advocates for safe financial products and industry practices that will create a fairer marketplace in Georgia. This virtual statewide network includes service providers and advocates who want to share information and protect consumers. To learn more about the GFPC, please read our recently released a policy paper, “Making Small-Dollar Lending Safer for Georgians.” This paper details the many dangerous financial products out there, like payday and title pawn loans, that can easily ensnare people in a cycle of debt, destroying their credit and making the road to financial security a rough and lengthy one. The paper makes policy recommendations for state-level reforms that we need in Georgia. To request to join the Georgia Financial Protection Coalition, please email nbrown@georgiawatch.org or click here. Tell us about your experience using title pawn, car title, or other predatory loans.